As a child, the tale of ‘The Last Supper’ and Judas Iscariot’s betrayal of Jesus in the Garden of Gethsemane has always perplexed me, because if Jesus knew that Judas was going to betray him, then why did he let it happen? When Jesus predicted it would happen, the disciples all denied that such a thing could happen, yet as we know it did according to the Bible. Is this human nature, or does the Soul make that choice? Perhaps Jesus hoped he would be wrong? The Bible tells us when he was in the garden praying he was full of sorrow and disappointment; was that because he felt he had failed Judas, or that by telling Judas he knew he was going to betray him he thought it might change his mind? Some say Judas was destined to do this so that Jesus could be crucified and then resurrected, but I have to believe that the Soul has a choice and that they know right from wrong. It’s too easy to say that the ‘devil’ took over Judas and made him do it, for while negative entities can influence, surely that would mean Jesus failed him as a disciple? Judas should know right from wrong, and lied knowing he had already agreed to betray Jesus at the Last Supper. Then when Jesus told Peter that he would deny him three times before the rooster crows, Peter denied he could do such a thing, however he did. Perhaps out of fear, lack of faith, but he cried afterwards maybe because he had failed Jesus and betrayed him in a different way? 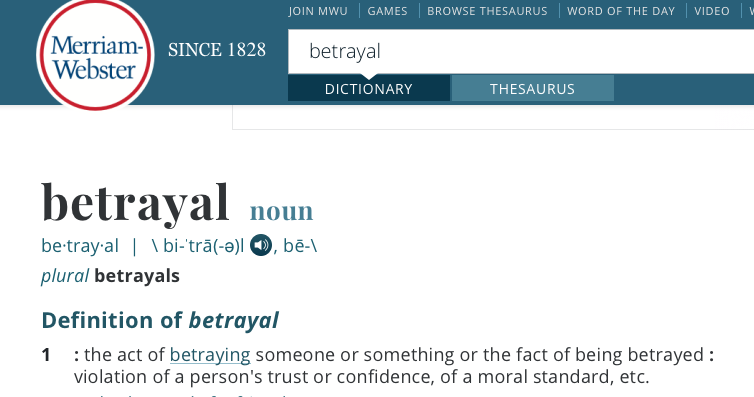 Betrayal is a choice that the Soul chooses to enact, and isn’t merely lying, but it’s an act of deceiving others by harming them directly or indirectly. There is a difference between telling someone their hair looks great when it’s not, and someone passing on confidential information that could lead to someone getting murdered. If you had the foresight to know who and when someone would betray you, then you’d think common sense would tell you to avoid that person. That’s logical, yet when I found myself in this very position I had to think long and hard as to what to do with what I knew. I knew this person would betray me, but I wanted them to have a chance to prove me wrong and that I could help them to see that they didn’t need to. I also felt that I could be wrong too, and so I proceeded with caution, watching each step they made and questioned everything they did. The decision was mine to make and perhaps I had to make that choice in order for them to have the choice of that lesson to learn? I would ask periodically if they trusted me, in order to say that I was trusting them. They said they trusted me, and while I said I trusted them in return I knew that they were lying, but without proof, a gut instinct isn’t enough. A couple of weeks later, others thought I was being harsh and wondered why I omitted this person from certain discussions. I said they didn’t need to know, and that a lack of knowledge protected them as they can’t lie if they don’t know. The truth is I was ready to cut the bonds because I knew they could not be trusted, but I needed a way to do it without any drama or accusations being thrown around. Did I make a mistake in trusting someone who I knew would betray me and others? I felt I could monitor and catch them, prevent them, or even help them learn that trust is earned and is sacred. Was that my arrogance (like Jesus), wishful thinking, or the reality of human nature? The betrayal became evident when information only a handful of people knew was leaked. You see, often people who betray like to brag and they do it from ego as if to say, “I have information no one knows, and I have the power to control and decide who I wish to tell…” For some reason they feel it empowers them, and I was aware of it, but what do you do when you confront them and they deny it? You slowly cut the bond, but remain close enough to monitor them. The problem is that information may result in innocents being attacked or even killed. Betrayal can lead to death, and an egotistical and careless slip of the tongue can ruin countless lives. A deliberate act of betrayal has far greater consequences for it is premeditated. The difference is I was expecting the betrayal and it occurred, must quicker than I anticipated. In fact the betrayal was more or less instant. This was a Soul Challenge for the other party, and I had been helping them make sense of some of their personal issues yet I sensed that they didn’t actually want help. They were happier to continue and make excuses for their behavior. It appears they did not wish to succeed in this Soul Goal and it has been attempted numerous times, and they wonder why they get spiritually attacked so often. The answer is that due to their lies and deception, that is food for negative energies that are attracted to the darkness of the Soul that chooses that path. While I had always sensed darkness around this Soul, and was fully aware of this, I felt there was hope because I believe there is hope for all Souls. The Soul makes the choice and accepts the consequences of what will happen from that choice. Am I disappointed in the betrayal, or do I think along the lines, ‘I was right’? If so why did I allow this to happen when I knew it would? There is zero satisfaction in knowing you were right about being betrayed. If anything you are disappointed in human nature, and it’s a time when you wish to be wrong. Even before I saw some proof of the leak, I knew this person was responsible and it was addressed. They lied and denied it was them, even though the other party had named them. Maybe this was their lesson to learn and they failed it? Perhaps this was my role, to give them an opportunity to choose whether to betray or not, and once I knew, I had to deal with it and rectify things as quickly as possible. Part of me thinks back to the day when I decided to give them a chance to prove me wrong, perhaps like Jesus on the day he chose Judas to become a disciple? When others discovered they had been betrayed there was anger, disappointment, and hurt, especially because the person continued lying and then tried to blame another. 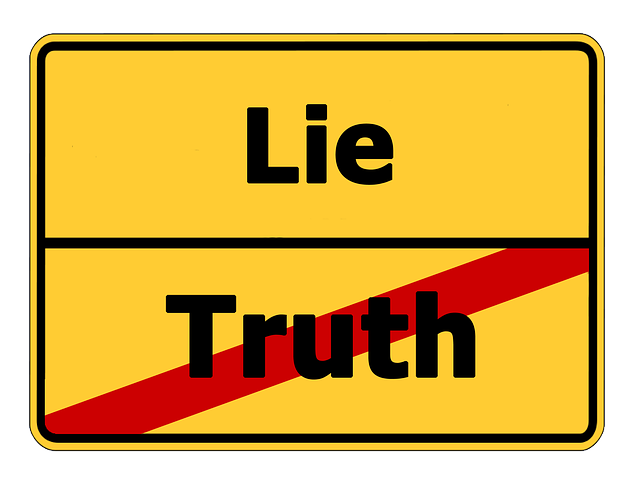 I was less affected or shocked than the others, but more frustrated that they continued to lie, especially when I had caught them out in a lie, and told them so, and they had to then make up another story. Seriously, you want to tell them making up another completely different story straight after only confirms their guilt and dishonesty, but it was necessary to see if they would actually come out with the truth or a version of the truth. Knowing someone will betray you may seem like useful knowledge, but all it does is lessen the impact of the betrayal with reluctant acceptance that some Souls make poor choices even with the best guidance. I have my answer as to why Jesus didn’t do anything about Judas when he knew he would betray him, and it’s not as simple as people think. A Soul always has a choice, but whether it was predestined or not, there is always a possible outcome and a very probable outcome. What could Jesus had done? Escape, or hide? The betrayer will forever live in fear, wondering when they will be found out and worry what the consequences will be. Some think they will have got away with things, yet at the back of their minds they will always worry for they know what they did was wrong. Pretending a betrayal hasn’t taken place serves little purpose (because the betrayer will continue with this behavior) although some think it’s better not to ‘rattle the cage’ without proof, but when you have tangible proof why be afraid to address the betrayer? When you have the truth on your side, you should not be fearful. By not addressing them, you are in fact enabling them so confronting them actually gives them an opportunity for redemption and to ask for forgiveness. Yes, the betrayer may turn and become vengeful and attempt to harm others, but their Karmic Debt will triple if not quadruple, and those are the consequences of the acts of betrayal. Souls and people will no longer believe or trust them, and they will become dark empty Souls packed with Karmic Debt to repay over a multitude of incarnations. Betrayal and the temptation to betray whether for ego, greed, or for vengeance leads to a high level of Karmic Debt because it was a choice made for the wrong reasons. Even when you know someone will betray you, all you can do is act with caution and limit the damage and take precautions. It is their choice to betray and you cannot stop them. Perhaps Judas had been tempted to betray Jesus before, and this time he chose to act on it? While I carry some responsibility for ‘trusting’ the betrayer, it was their choice to actually betray. That is for them to live with, and there is no excuse for betrayal. It is one of the most difficult Soul Lessons to learn; a Soul coping with betrayal, and the betrayer facing the consequences of their actions. Through betrayal we learn right from wrong, and how to act with integrity and honesty. The Soul always has choices, and an act of betrayal also teaches us how to forgive, and for the betrayer to be humble and to admit to their mistakes. Few Souls will experience an incarnation without betrayal, for it is a grounding Soul Lesson that provides the foundation for the Soul to learn how to evolve. Those who choose the path of betrayal will find their paths (and choices) rocky and difficult, coupled with a Karmic Debt overdraft.